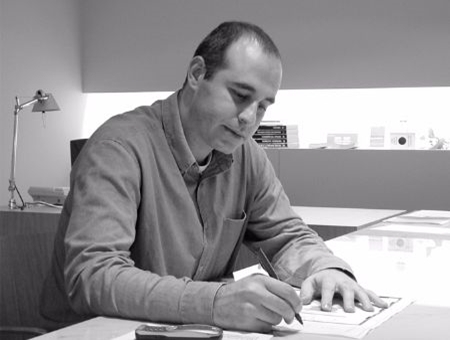 Interior and Industrial designer was born in Sant Sadurni d´Anoia in 1969. His professional career began, as an undergraduate, through independent commissions for various Design and Architecture studios while at the same time taking on his own projects.Throughout his career Rifé has been conferred a number prizes in the field of Design, including being nominated for the National Design Awards and the FAD awards for Interior Design. He has won the first and third edition of the ASCER awards. He is currently a member of jury of various Design Awards committees, including the FAD Awards 2002. Currently, he combines teaching with an active role in national and International congresses and workshops.